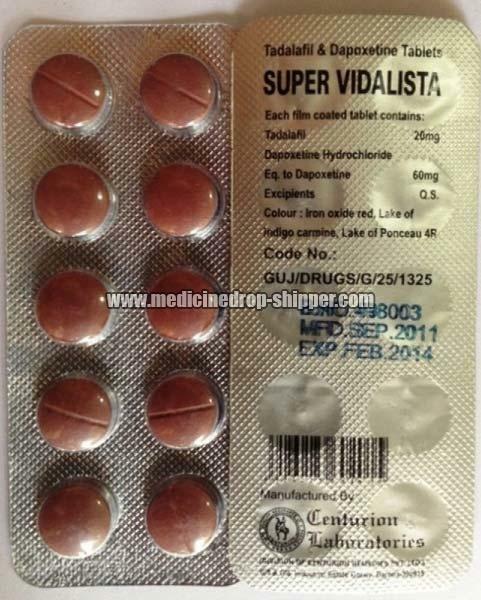 Due tom a rich industry experience and profound knowledge, we have emerged as a prominent Supplier and Exporter of Super Vidalista Tablets. We carry out our operations from Maharashtra, India. We thoroughly examine them against the stringent quality parameters before making the final delivery. These tablets are available in a high-quality packing material, which enables us to deliver them in intact conditions at the clients place.